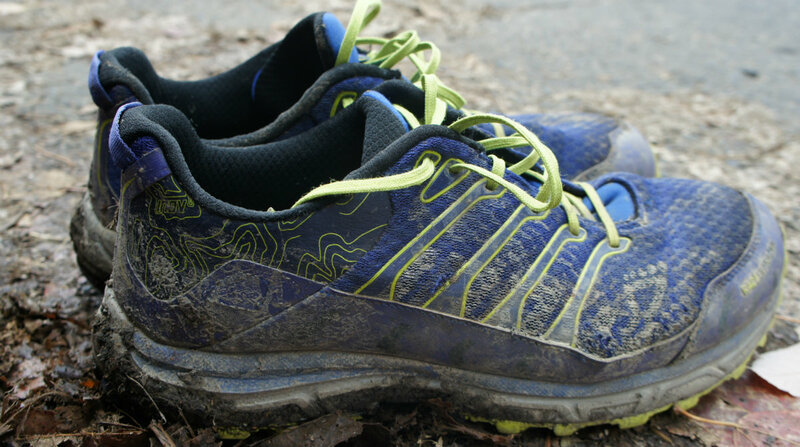 Back to the footwear conundrum I have been dealing with for the last… forever, I have tried my luck again with a pair of Inov8’s: the Race Ultra 290. I know I said I would be avoiding Inov8 shoes after my Cape Wrath Trail experience with the Trailroc 235 in 2015, but I had a chance to get a hold of a pair of Race Ultras so I went for it. 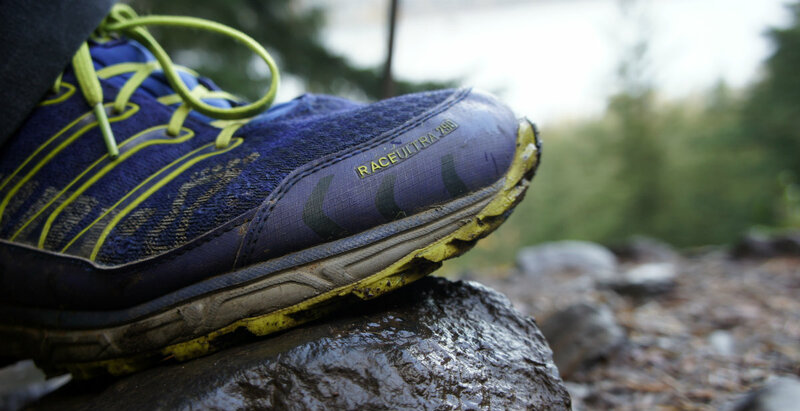 A first caveat about this review: the Race Ultra 290s (or the 270s) stopped being produced in summer 2016, so they were only available for the 2015 season. This is a regular problem with Inov8: they update their whole range (or so it feels) every season or so, leaving regular users confused and frustrated, not being able to get a replacement for the shoes that they did like. A second point to mention is that I actually didn’t pay for my shoes, at least not with money – a friend of mine bought them about a year before and had used them twice. At some point I was talking to that friend and he offered me the shoes, despite them being a size bigger than I usually wear, for a few bottles of my home brewed beer and a deal was struck. So on a sunny afternoon in a pub in south London, I participated in what surely seemed like a dodgy deal of suspicious looking beer bottles for a pair of Inov8 Race Ultra 290’s. Back to our point: the shoes, and why I’m trying yet another pair. I have mentioned many times on this blog how much of an issue it is for me to find shoes that actually fit me, and Invo8 are no different: too narrow and with a toebox that is all wrong. Another big issue that has come up with Inov8 in the last few years is how fragile they are and that they need to be replaced often, especially for long distance hiking or ultrapacking. I have tried using the Altra Lone Peak 2.0, Merrell Bare Access 1, and more without great success: too clunky, too narrow, disappointing soles and many other issues. So when the chance to just give the new Race Ultras a go came up I figured I could try, especially as they were free. I had a first clear problem with the Race Ultra 290 (specifically): an 8 mm differential and a pretty high stack (18 mm heel) – they are more shoe than I have had for a while, I prefer zero-drop shoes. My original plan was to get the Inov8 Race Ultra 270s with the 4 mm differential but couldn’t find any good deals on them (way too expensive back then), so the free pair of 290 it was. The main reason I wanted to try the Race Ultra range is it was the first ultrarunning specific shoe that Inov8 made with a wider fit, higher shoe volume and a mix of robustness and lightness that perfectly fits my ultrapacking philosophy. Since I got a hold of the shoes in spring of this year, about 7 months ago, I have tried them in a truly wide variety of environments and activities but I have yet to actually take on a more then overnight trip. 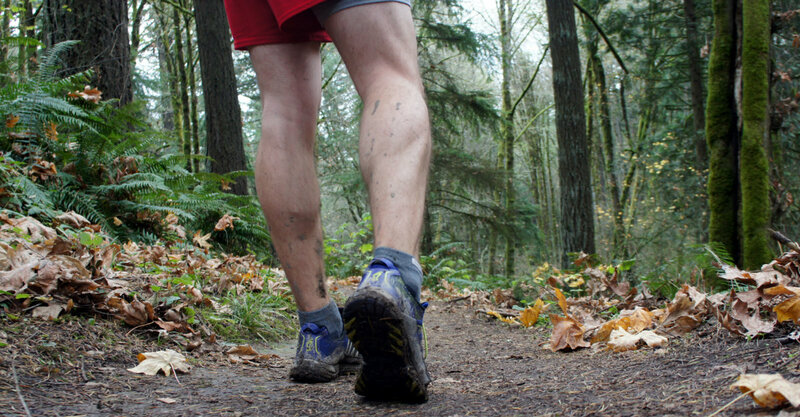 I have run over 100 miles in them (that I actually measured on Strava), subjected them to day to day use and more than their share of trails. So far, I like them, ish. Out of the box they were pretty light, but felt bulky compared to other shoes I’ve been using recently. The high stack made me feel further from the ground than I’m used to. On the other hand, I was really pleasantly surprised by the width and volume I had in the shoes: it only had a bit of pressure on my 5th toe (not touching my 4th! ), which is an improvement compared to most shoes. Inov8 have changed their “specialisation” many times in their 10 years of production, focusing mostly on footwear and mostly on trail running, they had times they tried too make too many things and times they have not made enough. At the moment, Inov8 are making shoes for running (trail, road, multi terrain and extreme) and training (mainly crossfit), clothing, packs and hydration systems. Another issue that I have with Inov8 is that as part of their rapidly changing range of goods (improving?) they tend to cancel successful products, so if you find a pair of shoes you like, it probably won’t be there when you are ready to replace an old pair, so you need to buy in bulk. The Race Ultra range is part of Inov8’s attempt to join the ultra running wagon in 2014, introducing the Race Ultra 290 in late 2014 and the 270 in early 2015. 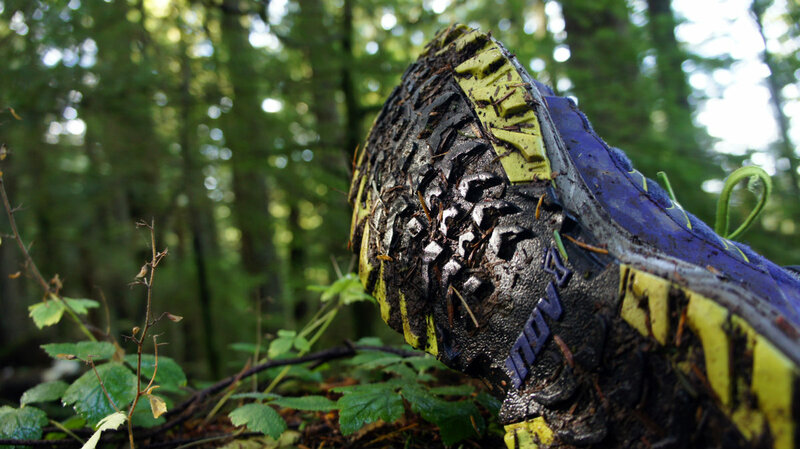 The shoes are part of the multi-terrain group, aimed to be used mainly on packed and loose trails, but have a sticky sole that will work in wetter conditions and a bounce for roads. 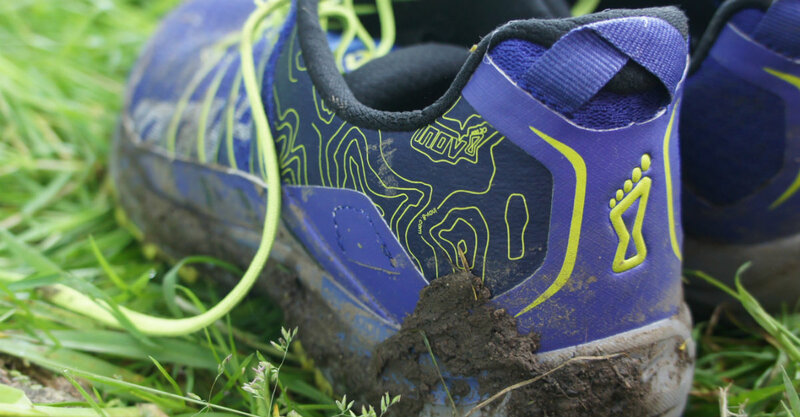 The 290s are 3 arrows and the 270’s are 2 arrows – more about Inov8’s Shockzone arrows here. Last, and importantly, is that for a very, very long time Inov8 shoes were outrageously narrow. Inov8 have been making two fits: standard and precision and for a while both were very narrow, but over time the Precision stayed very narrow while the standard got a bit roomier – almost to the point of wide, but not quit wide enough for me. I went 1 size up to accommodate my 2EE width feet. The issue with having the fits is that each shoe gets only one fit (precision or standard), with the very minimalist shoes all getting the precision fit and are therefore useless to me. 290 grams, 10.2 oz, per shoe is the advertised weight, but mine are 323 grams (11.4 oz) at a size 10 US. First off, the high differential on the 290’s have been an issue from the get go for me and I tried to solve it a few ways: reducing volume at the back, front insoles, liquid gel in the front etc. None really worked well so I ended up just adjusting to the differential. Combing them with regular use of a zero drop running shoe has worked well without ruining my calves or my heels, but I do feel pressure after a long day in them. At this point the 290s are my go to shoes for most things, especially on trails or off trail: running, hiking, backpacking, just a walk in the park. If it is going to be muddy, rocky, loose gravel or anything that isn’t paved, I tend to take the them. As you can see, I have yet to actually do multi day trips but I have taken them into almost all conditions besides snow and ice, which they will soon in the coming winter. Despite my initial feel of width and the hope they would expand a bit, the 290s remain a bit tight and after 25+ miles I do feel the pressure on toes 4 and 5. Despite the pressure they are still better than most shoes in this category and I have yet to break the fabric that is being pressured, which is a first. After all this time with the shoes, the sole is starting to show some wear and tear, I’m guessing mainly from those 2 days and 50+ miles in Israel. The upper is yet to show any signs of wear and is fully intact – it seems that the rand around the front of the shoes really helps in keeping them together. Maybe Inov8 have actually managed to solve some of the durability issues they had with a more robust design and better materials. The Race Ultra 290 are truly versatile shoes that are just more durable than the average trail running shoes, finally giving backpackers a better solution from Inov8. I am planning on continuing to use them but my concern is that over multi days trips, after 3-4 days of 25+ miles days, I will see some foot bruising. I am intrigued with the Race Ultra 270 and I think I will end up buying them too as they are rumoured to have an even wider toe box than the 290.